This week, notice all the natural glitter. 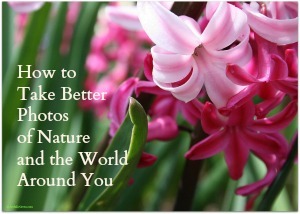 Nature photography e-course coming in March 2014! Stay tuned for details! © 2014 by Joy Sussman/JoyfullyGreen.com. All rights reserved. Photo and text digitally fingerprinted and watermarked. Site licensed by Creative Commons. Resolutions for the New Year, "More or Less"